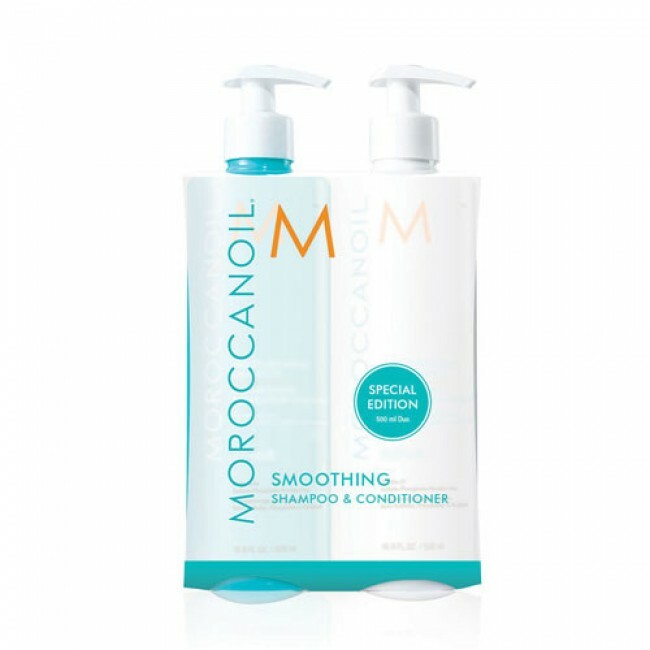 Achieve frizz-free, salon style hair with the Smoothing Shampoo and Conditioner Duo from Moroccanoil, a brand that create nutrient-rich, innovative formulas to provide dramatic results. A creamy Smoothing Conditioner from Moroccanoil to control static flyaways and provide frizz protection to leave you with sleek, healthy locks. Specially formulated with AminoRenew™ to strengthen the hair's keratin structure and restore amino acids. Gentle yet effective, the conditioner is enriched with argan oil and argan butter to leave hair smooth and soft. Experience manageable hair that has a boost in radiance.